GAZA CITY (Ma'an) -- A Palestinian fisherman was shot and killed by Israeli naval forces, on Wednesday evening, off the coast of the northern besieged Gaza Strip.Spokesperson of the Gaza Ministry of Health, Ashraf al-Qidra, confirmed that one Palestinian fisherman was killed, identifying him as Nawwaf al-Attar, 20, from Beit Lahiya in the northern Gaza Strip.Al-Qidra added that al-Attar arrived dead to the Indonesian Hospital with an explosive bullet in his abdomen.Israeli naval forces had opened fire at Palestinian fishermen working at three nautical miles off the coast of the northern Gaza Strip, forcing them to head back to work at one nautical mile.Head of the Fishermen Committees in the Union of Agricultural Work Committees, Zakaria Bakr, had confirmed earlier Wednesday, that the Palestinian Ministry of Agriculture informed fishermen to resume work along the besieged Gaza Strip's coast. The threat from Egyptian forces comes as Palestinian fishermen already face daily risks in order to make a living, including routine harassment from Israeli naval forces, confiscation of boats and materials, detention and potentially death.Israeli forces open fire towards Palestinian fishing boats on a daily basis. GAZA CITY (Ma'an) -- Israeli naval forces shot and injured two unarmed Palestinian fishermen who were working off the coast of Khan Yunis in the southern Gaza Strip overnight Sunday. In May, Israeli forces shot and killed an unarmed Palestinian fisherman, Muhammad Majid Bakr, off Gaza's coast. Palestinian organization the al-Mezan Center for Human Rights reported that as of May, Israel had seized at least five fishing boats, detained at least 14 Palestinian fishermen, shot and injured six, and killed one other fisherman -- who drowned after Israeli forces sunk his boat, since the start of 2017. The ongoing attacks on Gaza's fishermen come as Gaza's two million residents marked their tenth year under Israeli blockade. Yesterday afternoon, 15 May 2017, Palestinian fisherman Mohammed Majed Fadel Baker succumbed to his wounds after the Israeli naval soldiers opened fire from a distance of 3 meters at the boat manned by him, his brothers and cousin in the northern Gaza Sea. This indicates a new crime committed by the Israeli forces though none of the fishermen posed any threat to the live of Israeli soldiers. This also emphasizes continuation of Israel’s policy to target the fishermen and their safety and deny them from freely sailing and fishing within the allowed fishing area. 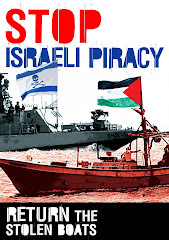 According to PCHR’s investigation, at approximately 08:30 on Monday, 15 May 2017, an Israeli gunboat accompanied with a rubber boat opened fire at a Palestinian fishing boat sailing within 3 nautical miles off al-Wahah shore, northwest of Gaza City. The boat was manned by 4 fishermen namely ‘Omran Majed Baker (33), his two brothers; Fadi (32) and Mohammed (25), and their cousin Mohammed Zeyad Hasan Baker (32), and all of them are from Gaza. The fishermen fled by their boat to the south, but the Israeli gunboat manned by 8 soldiers armed with automatic rifles chased the boat and were able to target directly its engine. 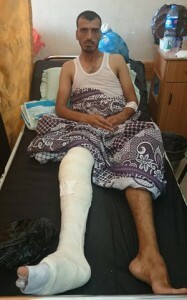 As a result, the boat stopped off shore in front of the Intelligence Service office, west of Gaza, and ‘Omran was hit with 2 metal bullets to the leg and abdomen. After that, a soldier opened fire from a 3-meter distance at the fishermen, wounding Mohammed Baker with a live bullet to the upper side of abdomen. Mohammed then fell down as part of his bowels got out. However, the soldiers forced the fishermen to move Mohammed to their boat and then sailed towards Ashqelon. 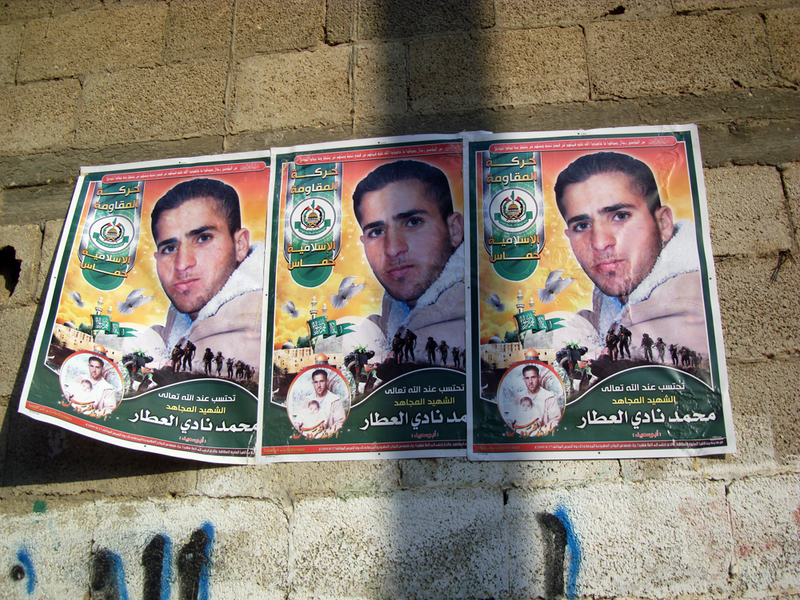 At approximately 16:30 on the same day, Mohammed was announced dead succumbing to his wounds in Barzilai Hospital. His body was then transferred to al-Shifa Hospital in Gaza after coordinating with the Palestinian Liaison office. Compensating the victims of the Israeli violations for the physical and material damage. 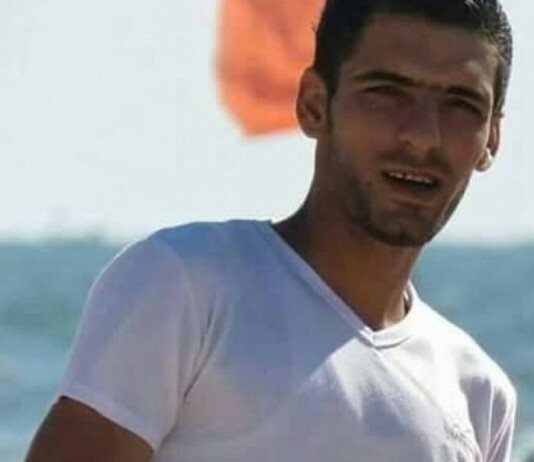 BETHLEHEM (Ma’an) -- A Palestinian fisherman who was shot and injured by Israeli forces off the coast of the besieged Gaza Strip earlier on Monday succumbed to his wounds while hospitalized in Israel, a local NGO reported. According to the al-Mezan Center for Human Rights, Muhammad Majid Bakr, a 23-year-old resident from the al-Shati refugee camp, was shot by Israeli naval forces at around 8:30 a.m. on Monday morning while fishing off the coast of Gaza with his brother Umran Majid Bakr. Umran told al-Mezan that Bakr had been shot in the chest, and was still bleeding when Israeli naval ships surrounded their fishing boat and detained Bakr. The Palestinian liaison office officially confirmed Bakr's death on Monday afternoon. An Israeli army spokesperson told Ma'an that a Palestinian fishing vessel "deviated from the designated fishing zone" in the early morning hours on Monday. As the fishing boat reportedly continued to advance further into sea after Israeli forces fired shots into the air, the spokesperson said, Israeli soldiers shot at the boat. The spokesperson confirmed that one fisherman was injured and was declared dead once taken to a hospital in the Israeli city of Ashkelon, adding that the case was "under review" by the army. A spokesperson for the Barzilai hospital, where Bakr was taken by Israeli forces for treatment, did not immediately respond to a request for comment. Earlier on Monday, Ma’an reported that at least six Palestinian fishermen had been detained off the coast of Gaza between Sunday and Monday, including three from al-Shati, although Muhammad Majid Bakr had not been identified as being among them. The incidents came after Israeli authorities decided to temporarily expand the designated fishing zone in the southern Gaza Strip to nine nautical miles on May 3. As part of Israel's blockade of the coastal enclave since 2007, Palestinian fishermen have been required to work within a limited "designated fishing zone," the exact limits of which are decided by the Israeli authorities and have historically fluctuated. Al-Mezan has reported that since the beginning of the year, Israel has seized five fishing boats, detained 14 Palestinian fishermen, shot and injured four, and killed one other fisherman, who drowned after Israeli forces sunk his boat. According to Ma'an documentation, Bakr is one of at least 22 Palestinians to have been killed by Israeli forces since the beginning of 2017, three of whom were killed in the besieged Gaza Strip. GAZA CITY (Ma'an) -- Israeli forces detained two Palestinian fishermen off the coast of the northern Gaza Strip on Tuesday, the Gaza fishermen committee said. The head of the Gaza fishermen committee, Zakariya Bakr, told Ma'an that Israeli naval forces opened fire at fishing boats off the coast of Beit Lahiya in the northern Gaza Strip.Bakr added that Israeli forces then detained fishermen Aahed Ziyad Zayid and Munis al-Abed Zayid and confiscated their boats before taking them to an unknown location.No injuries were reported in the incident, Bakr said.An Israeli army spokesperson told Ma’an they were looking into the reports.Earlier on Tuesday, witnesses told Ma’an that Israeli naval forces fired live ammunition at fishermen working off the coast of al-Zahra area of central Gaza, without causing any injuries.The Israeli military enters Palestinian areas on both land and sea sides of the Gaza Strip on a near-daily basis, often putting Palestinian fishermen and farmers -- and their livelihoods -- at risk.While Israeli authorities this month expanded the fishing zone designated for Palestinian fishermen to nine nautical miles in the southern Gaza Strip, and retained the six mile zone in the north, fishermen regularly report detentions, live fire, and boat confiscation within these limits.The UN Office for the Coordination of Humanitarian Affairs has documented over 40 instances of Israeli incursions into the Gaza border area this month alone.